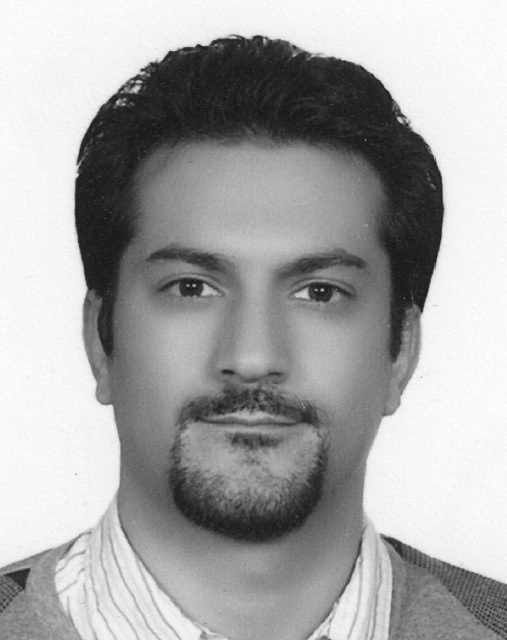 Ehsan Afshari was born in 1979. He received the B.Sc. degree in Electronics Engineering from the Sharif University of Technology, Tehran, Iran and the M.S. and Ph.D. degree in electrical engineering from the California Institute of Technology, Pasadena, in 2003, and 2006, respectively. In August 2006, he joined the faculty in Electrical and Computer Engineering at Cornell University. His research interests are mm-wave and terahertz electronics and low-noise integrated circuits for applications in communication systems, sensing, and biomedical devices. Prof. Afshari serves as the chair of the IEEE Ithaca section, as the chair of Cornell Highly Integrated Physical Systems (CHIPS), as a member of International Technical Committee of the IEEE Solid-State Circuit Conference (ISSCC), as a member of the Analog Signal Processing Technical Committee of the IEEE Circuits and Systems Society, and a member of the Technical Program Committee of the IEEE Custom Integrated Circuits Conference (CICC). 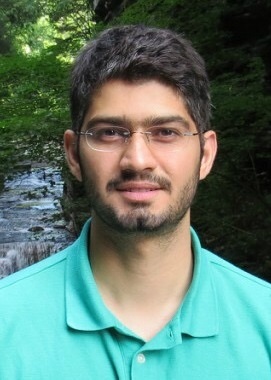 He was awarded National Science Foundation CAREER award in 2010, Cornell College of Engineering Michael Tien excellence in teaching award in 2010, Defense Advanced Research Projects Agency (DARPA) Young Faculty Award in 2008, and Iran's Best Engineering Student award by the President of Iran in 2001. He is also the recipient of the best paper award in the Custom Integrated Circuits Conference (CICC), September 2003, the first place at Stanford-Berkeley-Caltech Inventors Challenge, March 2005, the best undergraduate paper award in Iranian Conference on Electrical Engineering, 1999, the recipient of the Silver Medal in the Physics Olympiad in 1997, and the recipient of the Award of Excellence in Engineering Education from Association of Professors and Scholars of Iranian Heritage (APSIH), May 2004. 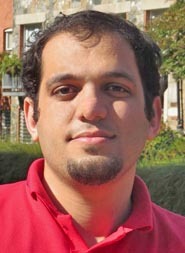 Vahnood Pourahmad (Ph.D.) was born in 1986 in Tehran. He received his B.Sc. from Sharif University of Technology, Tehran, Iran, in 2008. He received his M.Sc. in Theoretical and Applied Mechanics from Cornell University in 2012. His M.Sc. thesis was focused on zeta potential prediction in micro channels as a function of background electrolyte composition. Because of his interest in nonlinear dynamics, he has recently joined the UNIC group and is currently working towards his Ph.D in electrical engineering at Cornell University. His research interests include nonlinear phenomena in electronic circuits, specifically Pattern Recognition, Machine Learning and Brain Machine Interfance. Hamidreza Aghasi (Ph.D.) received his BSc. in Electrical Engineering (Communication systems) from Sharif University of Technology in 2011. His undergraduate thesis title was “Source localization based on signal attenuation and delay estimation in sensor networks”. His research interests include signal processing, Spintronic devices, Terahertz power generation and RF and millimeter-wave design. Hamidreza joined the UNIC Lab in 2011 and was the receipent of Cornell Fellowship in fall 2011 and Jacobs Fellowship in Spring 2012. In fall 2013, He was selected as the winner of Cornell ECE innovation award for the Teratooth system. In Summer 2014, he wokred with Samsung Research America, Display lab in San Jose, CA, as an intern. 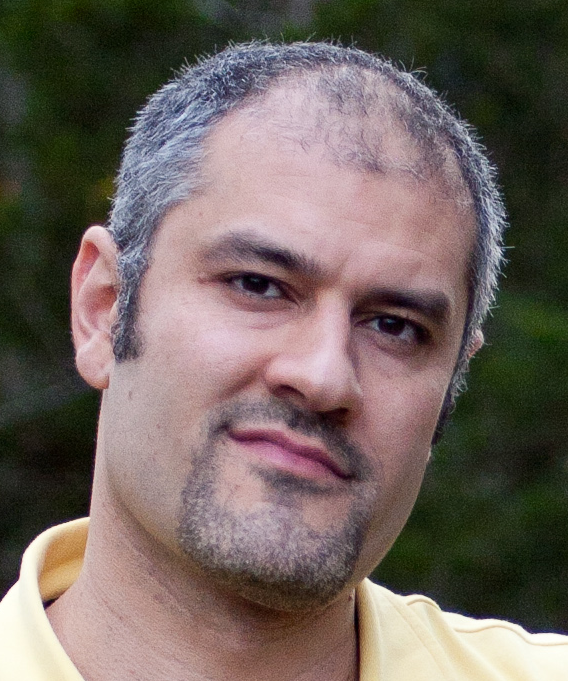 Hamid Khatibi (Ph.D.) was born in 1973. He received his B.Sc. in electronics and his master in Control system from Sharif University of Technology, Tehran, Iran. On 2004 he joined Laboratoir d'Automatique at EPFL where he accomplished a PhD in control system engineering. On 2012, he joined UNIC at Cornell, where he is doing his research about cross-coupled oscillators. During his study, he has been a recipient of several awards such as: Jacob's Scholarship (Cornell-2012), Exceptionally valuable performance prize (EPFL-2007), Honored master student (among all engineering students (Iran-1999), Ranked first among all B.Sc. and M.Sc. students (Sharif-1997 and 1999), best B.Sc. thesis contest (Sharif-1999), gold medal in Physics Olympiad (1992-Iran) and silver medal in Computer Programming Olympiad. He has taught Physics for more than ten years and has been the manager of two Special Business Units of FANAP Co. (ICT Subsidiary of PASARGAD Financial Group-Tehran-Iran). He has also been a circuit designer in several companies during 1994 to 2003. He has been the author of several papers in control system engineering. 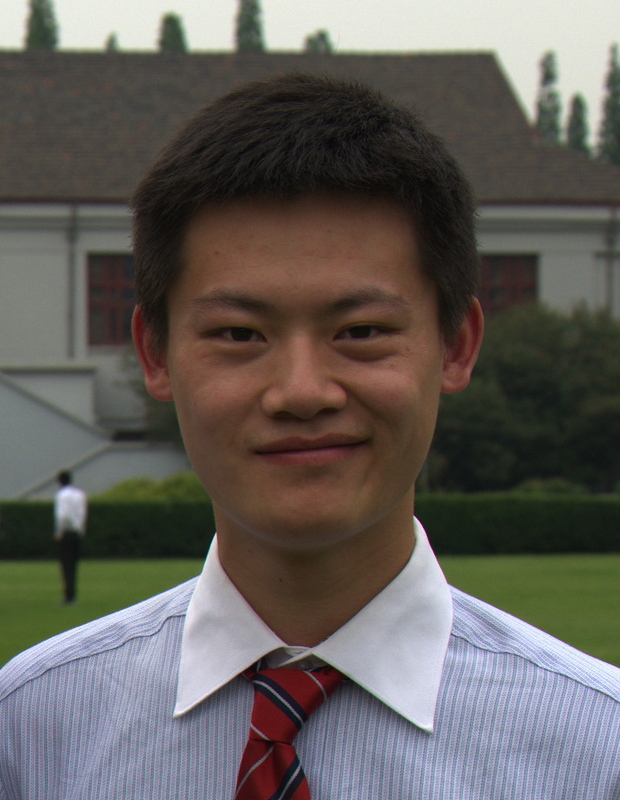 His research interests include RF circuit design and convex optimization. 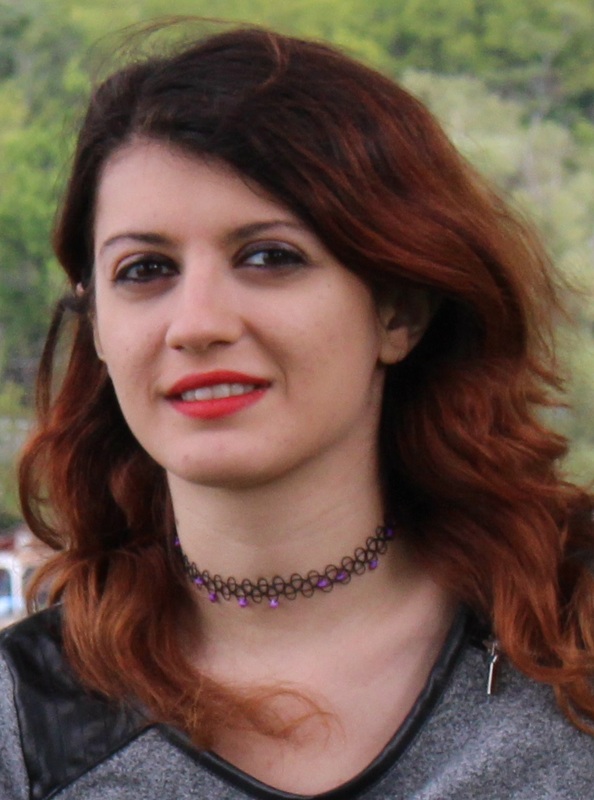 Somayeh Khiyabani (Ph.D.) was born in 1988. She received her B.Sc. in Electrical Engineering from Sharif University of Technology in 2012 and has joined UNIC at Cornell University in the same year. Her research interest is high frequency circuit design. She was selected as a Jocobs fellow in 2012. 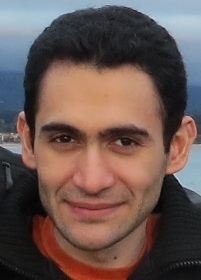 Amirahmad Tarkeshdouz (Ph.D.) was born in 1986. He received his M.Eng from Cornell University in 2011. He joined UNIC in 2013 and is currently working toward his Ph.D. degree in electrical engineering at Cornell University. His research interest includes mm-wave and terahertz electronics. Chen Jiang (Ph.D.) received his B.S. and M.S. degree in Microelectronics from Fudan University, China, in 2010 and 2013, respectively. His M.S. thesis was entitled "Research and design of all-digital frequency synthesizers". He joined the UNIC in 2013 and was selected as a Jacobs fellow in the same year. His research interest is millimeter-wave and THz circuits design, especially for communication and imaging application. Ali Mostajeran (Ph.D.) received his B.Sc. in Electrical Engineering from Isfahan University of Technology, Iran, in 2011. He received his M.Sc. degree in Microelectronics from Sharif University of Technology in 2013. His M.Sc. thesis was "A Novel Design Methodology for Design of Low Phase Noise Oscillators Based on the ISF". He joined the UNIC in 2013 and was selected as a Cornell fellow in the same year. His research interests include mm-wave and THz circuits design, oscillator phase noise modeling and optimization. Amirmasoud Ohadi (Ph.D.) received his B.S. from the University of Tehran, Iran, in 2014. He joined UNIC at Cornell University in 2014 and was selected as a Cornell fellow in the same year. Saghar Seyedabbaszadeh (Ph.D.) received her B.Sc. in electronics from Sharif University of Technology in 2015. She joined UNIC in 2015 and was selected as a Jacobs fellow in the same year. Are you interested in joining our team? We have a few openings for motivated and talented students. Generally, students interested in our specific research will receive higher consideration than the ones which are interested in "circuits" or "analog circuit design", send generic emails, or ask general questions. Usually sending "mass-emails" does not increase your admission chance. If you are serious about our group, please carefully look at this homepage and possibly read a few of our papers and if you are still interested, please contact Ehsan Afshari.